For amateurs and professionals alike, this book is the story of photography's power to renew the spirit. 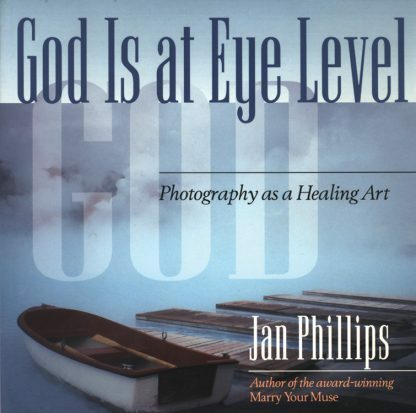 Jan Phillips helps us transform sight into vision, leading us to see that images can be mirrors for our deepest truths, even in our simple snapshots. "The real thing about photography," Jan says, "is that it brings you home to yourself, connects you to what fulfills your deepest longings. Every step in the process is a step toward the light, an encounter with the God who is at eye level, whose image I see wherever I look. There's something holy about this work. Like the pilgrim's journey; it's heaven all the way."